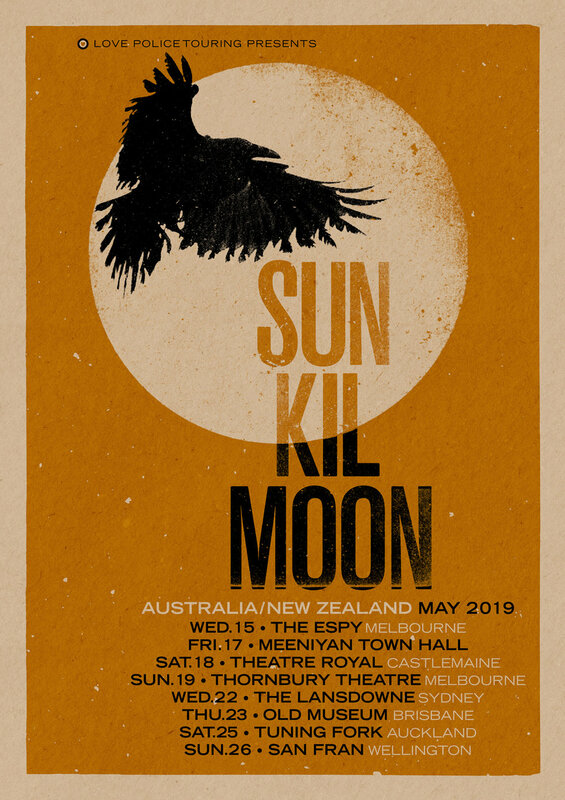 Sun Kil Moon announces his return to New Zealand and Australia as part of a special tour in May. He will be hitting a range of iconic theatres, intimate spaces as well as remarkable, off the beaten path venues. Man-behind-the-moniker, Mark Kozelek’s sound has evolved drastically since his 2003-beginnings with Ghosts of the Great Highway, and has since gained a legion of die-hard fans. Sparse yet intense, there is a mesmerizing quality to Sun Kil Moon’s contemplative musical musings. The atmospheric restraint of arrangements is adored by true music aficionados the world over. His music, so sweeping, intimate and poetic, inspires a unique brand of allegiance and respect. This is acoustic balladry that transcends narrative, deftly conjuring vivid and vibrant imagery. “The Sun Kil Moon manifesto is one for angular obscurity with a certain cerebral whimsy. Delivered with such a deadpan manner, Kozelek sounds like he has lost the pan... Somehow it also instils sparkling colour into the playful doom.” Beat. "—a formidable live performer who can hold an audience’s undivided attention for longer than I imagine they thought possible." 13th Floor.